If you’re planning a college road trip in DC, Baltimore, or beyond, Chesapeake Charters can get you there and on time. More importantly, you don’t have to worry about parking, traffic, or missing any of the campus sights. Simply gather a group, family, or organization and travel safely together while you tour Maryland colleges in style. 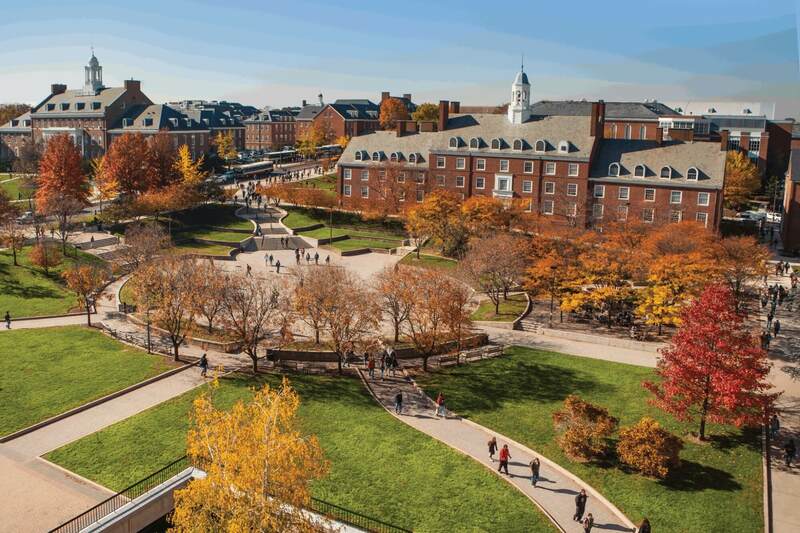 So, before you schedule your trip, check out some of our favorite colleges to visit in Maryland. The University of Maryland in College Park, MD, is a large state school and is home to over 40,000 students. The beautiful, vast campus is the home of the Terrapins! In fact, UMD has one of the most recognizable and successful athletic programs, with over 550 student-athletes competing annually in 19 sports. Not to mention, there are over 800 clubs and organizations on campus, including nearly 60 fraternities and sororities. Fear the turtle! Georgetown University is a private college situated overlooking the Potomac River. Just a few minutes from downtown Washington, the beautiful campus is an exciting place to be! Students can stay on campus and attend plays, concerts, and guest speakers. Or, venture off campus into the heart of DC and visit museums, concert halls, theaters, restaurants, and famous monuments. 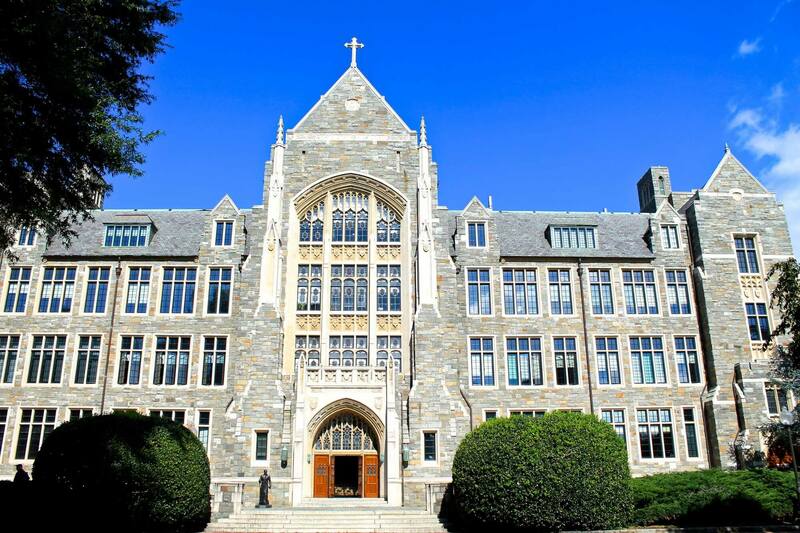 Further, for those with interest in law, public policy, medicine, and business, Georgetown is the perfect place to call home. 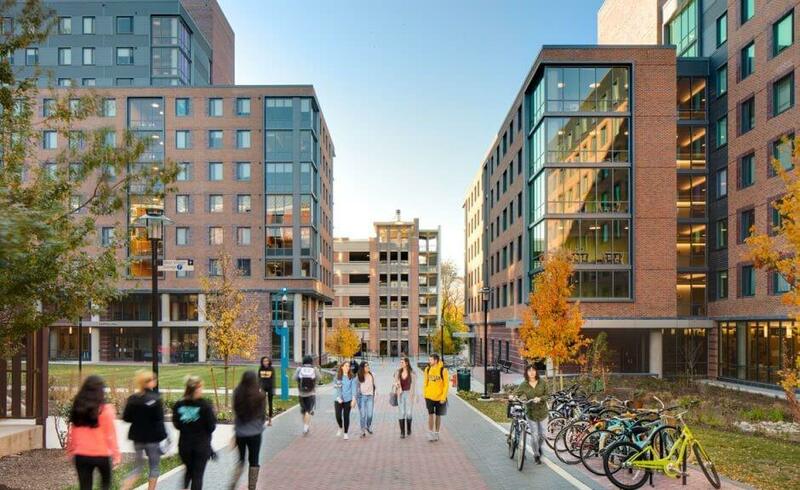 Situated on a beautiful 329-acre suburban campus, and with over 22,000 students enrolled, Towson University is the 12th largest university in America. Moreover, Towson is recognized among the nation’s best public institutions for its excellent degree programs. Some of those include communications, business, health care, education, fine arts and more. Above all, downtown Baltimore is just ten miles away. Although, campus life is filled with 200 clubs and organizations, including Greek life and 20 Division 1 athletic teams. Go Tigers! Call Chesapeake Charter to discuss the details of your trip today. We can talk to you about timing, trip distance and length, how many buses you might require and more. Call and request a quote!